Conventions: the bigger, the better! 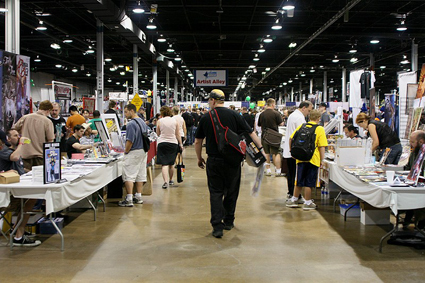 Conventions, festivals, and the like can be big or small, and have any one of a number of themes, so there certainly are a wide variety of types. In Japan, for example, they could be anything from a small countryside school festival to a huge event like Comic Market. The variety in America is just as extensive. I've been to a few different festivals and the like lately, so let's take a look at some cultural differences through that lens! A week or so ago, I DJed at a pre-party event for the Tokyo International Comic Festival. both at the pre-party as well as during the main event at Comitia the next day. 本番でもないのにこの盛り上がり！ / Just the pre-party and it was this packed! The idea of an American comics expo in Japan is quite similar to the prolific scene of anime conventions in America. Indeed, Japanese guests at anime conventions usually follow the same pattern of having panels, booths, and autograph signings. コミケやコミティアと同じようにアメリカ人漫画家も作品をコンベンションで販売しています / Just like Comiket and Comitia, American manga artists also sell their work at conventions. Having had a lot of experience seeing fans of Japanese manga in America, being among a gathering of American comic fans in Japan was quite interesting. while the American comics festival here in Japan seemed to have more people of late college age and above. which probably mainly stems from the recent surge in popularity of Japanese culture in a number of countries around the world. At the end of last month I took a trip to Kyoto Sangyo University's school festival, the 50th Koyama Festival, to see a friend's live performance. It was my first time going to a school festival, but it had a similar atmosphere to some other festivals I've been to in Japan. 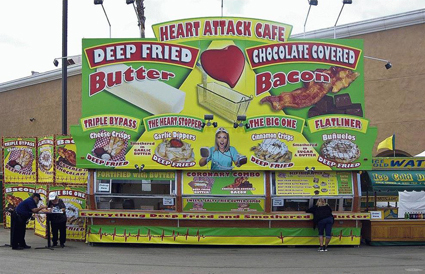 One of the main features, of course, is the food booths. どれをとっても安く食べられる印象 / You can get pretty much anything to eat, and it's cheap to boot. Aside from the food booths, there were also a wide variety of performances and exhibitions from various clubs and the like. 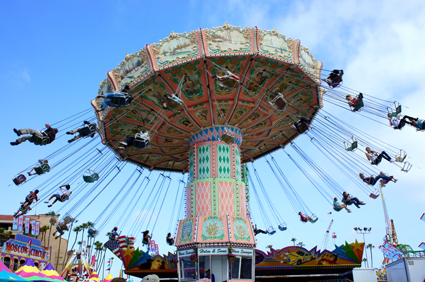 American colleges themselves don't often have festival events like this, but County fairs and State fairs are in a similar vein. 揚げバター？！ / And fried butter?! 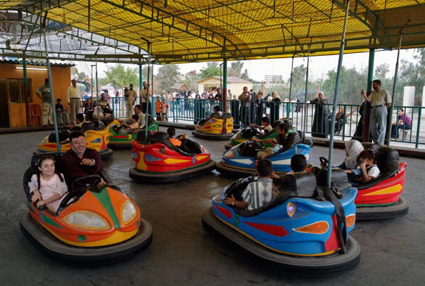 Since they're not school festivals, there aren't usually exhibitions, but instead there are often amusement rides. これはやばいやつ！ / Crazy rides like this, too. 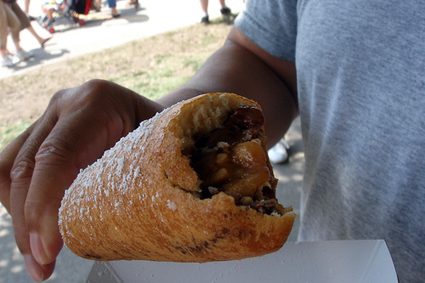 More rural fairs sometimes have a farming component as well, with contests and displays of livestock and crops. Many of you regular readers may already be familiar with M3 - a biannual doujin music sales event. I mentioned it in the last entry as well, but I put out a new release this M3 too. Having released things as four M3s now, it's gotten fairly routine. こんな感じで売ってました / The booth set-up. I brought it up a bit earlier when talking about the International Comic Festival, but people will often sell their own artwork at anime conventions in what's usually called the "Artist's Alley". That said, it really is mainly artwork - people selling their own music are few and far between. 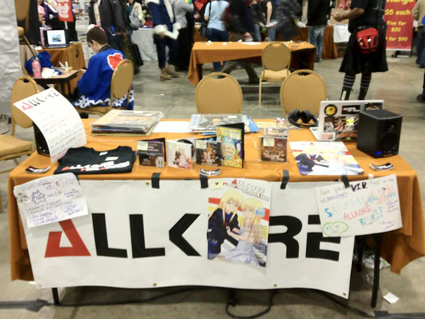 When I lived in America I did sell Allkore CDs in the artist's alley at a few conventions, but not many people go there looking for music so it was kind of hard to get sales. Unlike M3, where people are coming specifically to buy music, it was usually necessary to give a detailed explanation of what we were trying to sell in order to even catch people's interest. アメリカではカオスな感じでやっていました / Bit of a chaotic display here. Here's another one we released on Allkore: "Public School Council (+ Festival)" from PPS's alias Subfreaks! I don't actually know what the sampling is from or what it has to do with festivals, but it's a great track anyway so give it a listen! I wonder what kind of festival is coming up next? I'm ready for some good food and good fun!